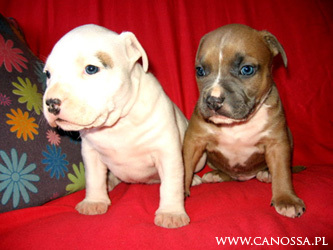 New Generation of American Staffordshire Terrier from Canossa Kennel! 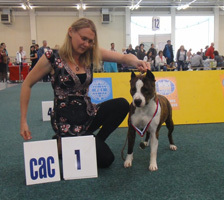 presented in open class,received place 1st,CAC.BOS.BOB.res.BOG, in the interval just seven months! 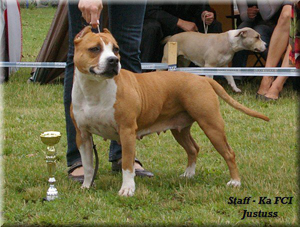 In Champion Class, female:Ch.BACK TO MY DREAMS Canossa,exc,place 2nd. 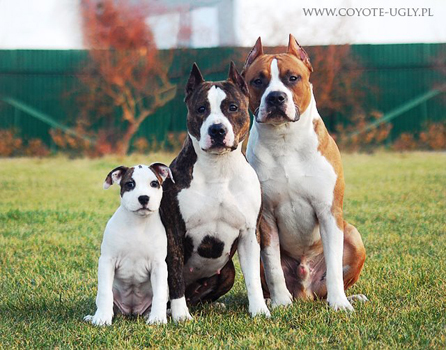 Welcome to the reservation of puppies. 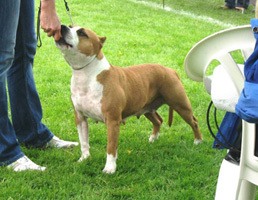 Dog show Club type Bull Terrier "II ALEC WATERS MEMORIAL"
Puppy femele, 1st place, Best Puppy in Breed, BIS Puppy II. "Nomination for the Best Move". 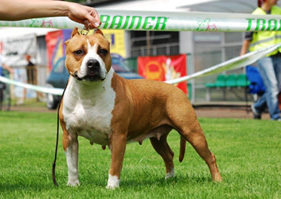 and JChPL.CASSIOPEIA FOR PROZAK Canossa, the assessment also excellent, 3/10bitches. 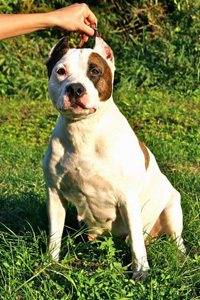 excellent, 1st place CAC, BOS, Club Winner TTB 2011', and a nomination for "Best head in Breed ". 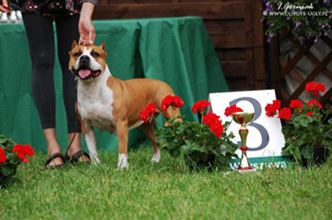 and Title: Best female Breeding "ALEC WATERS MEMORIAL II"! 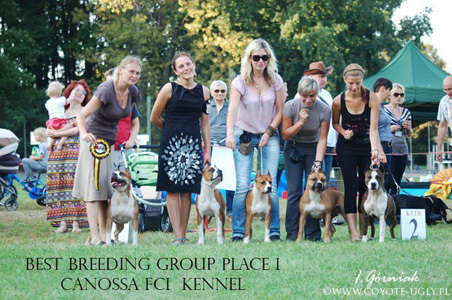 Kennel Canossa FCI, was awarded the title: Best place Breeding Group 1 "ALEC WATERS MEMORIAL II"! 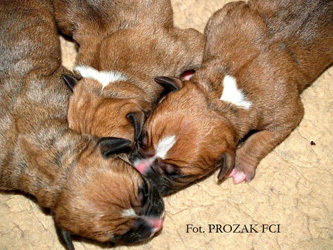 Congratulations for of their caregivers ! 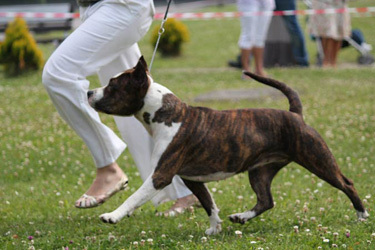 IntCh.BORN TO BE HAPPY Canossa,Club Winner Terrier type Bull 2011. 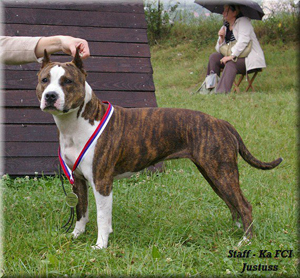 Our Kennel CANOSSA FCI :)""The best Breeding Group 2011.
at the age of seven months. 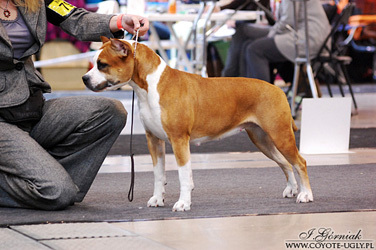 National Dog Show in Warsaw. 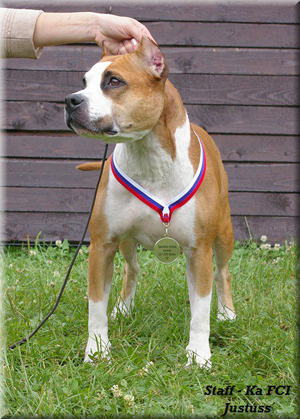 Veteran – INA Atillo, excellent, 1st place, best Veteran in Breed, BIS Veteran III in 26 veterans of the competition!. 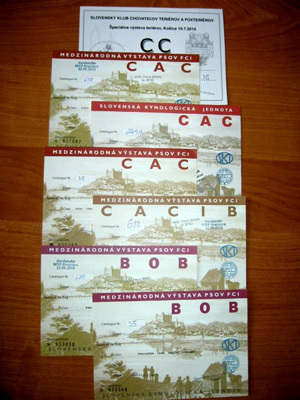 Two International Exhibitions in Bratislava, Slovakia. 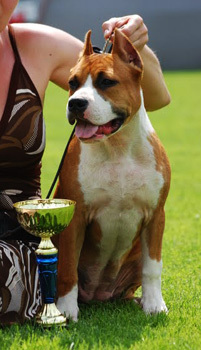 second place, and Place 1, Best puppy of breed. In those days there were two national dog shows. 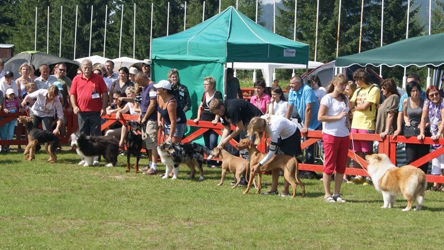 At the National Show in Zakopane. 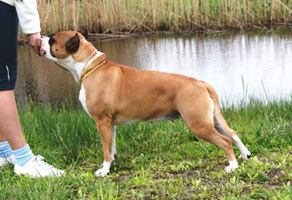 and like his sister, Dakota, received the title: Best Puppy in Breed (NSzwR). 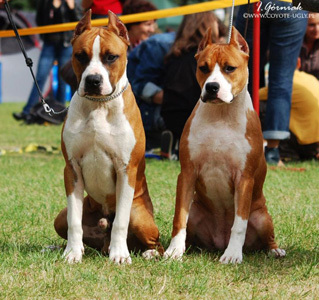 On 4-5 August,came to be mating: Ch.ADELAJDA BIACCA Canossa x IntCh.MultiCh. ARAMIS EAGLE BLEND ON SHINING FIELD. 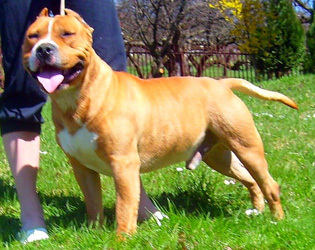 which has perfect exterior, but above all it is a typical male-normal psyche, character and temperament of the dog. 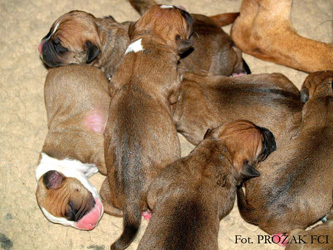 Puppies from this litter we expect in the first half of October. 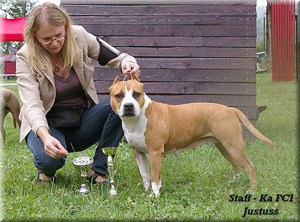 Slađan Anđelović and Nebojsa Stanković (Eagle Blend Kennel) The possibility of using this beautiful Stud dog in my breeding program :). 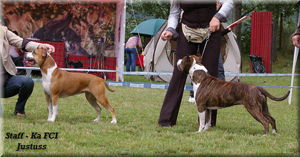 Last weekend I was with my dogs at two exhibitions in Slovakia. 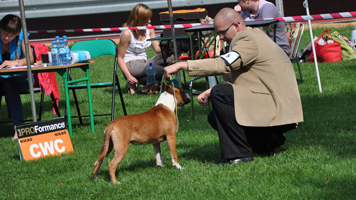 On Saturday in Velka Ida, International Exhibition dogs. 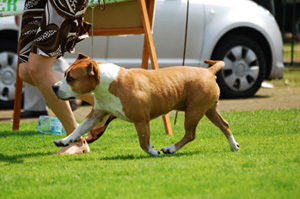 and on Sunday Terrier Club Show. 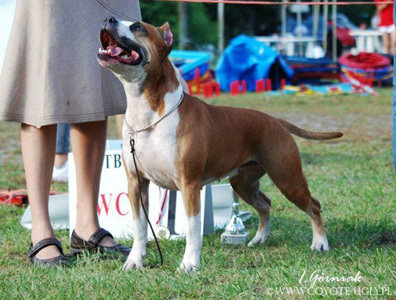 Veteran Class: INA Atillo, excellent, 1st place, BOB Veteran, BIS Veteran II. 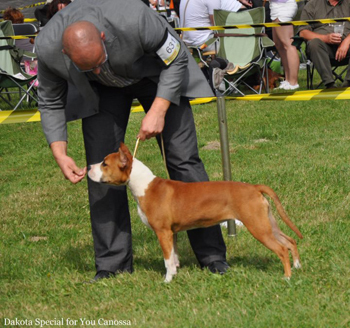 INA Atillo, Veterans class, excellent, 1st place, BOB Veteran, BIS Veteran II. 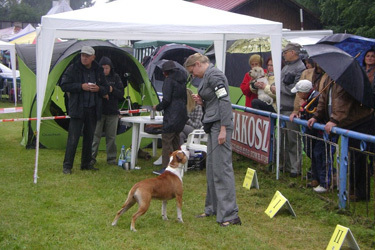 National dog show in Nowy Targ. 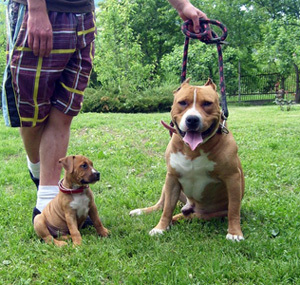 1st place, and the title of Best Baby in Breed. In the final competition: "Best in show Baby" place 2nd. (BIS BABY II). received a rating of excellent, 1st place.and CWC. 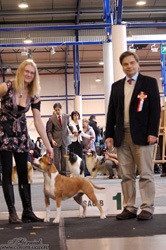 In the competition the most beautiful exhibition veteran, was selected for the top six. 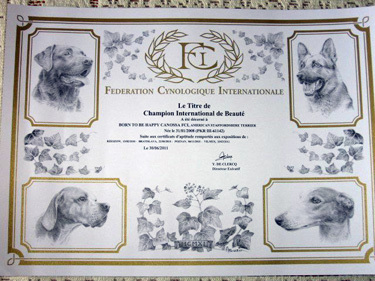 Champion International de Beaute , for female BORN TO BE HAPPY Canossa. 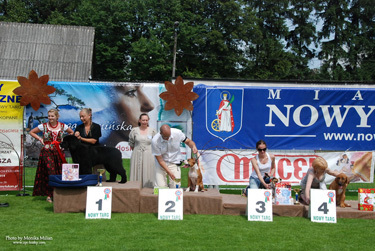 National Dog Show in Bielsko Biala. Unfortunately the weather this year was not good, it was raining. Despite the unfavorable weather Our females presented themselves very well. 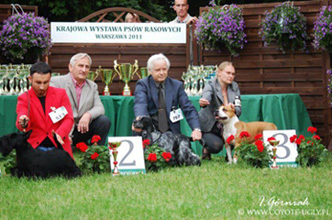 Ania and Bartek awfully glad to have completed by Toska Title Ch.PL, Congrats !! 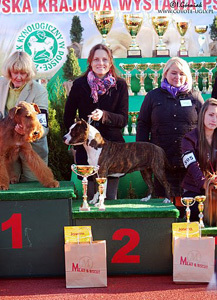 A selection of the Best Veteran in Show place III (BIS Veteran III). 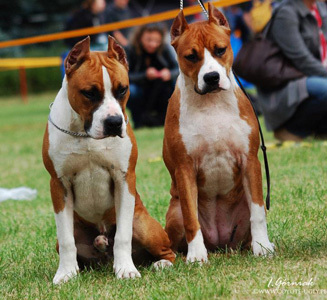 International dog show in Krakow/Poland. 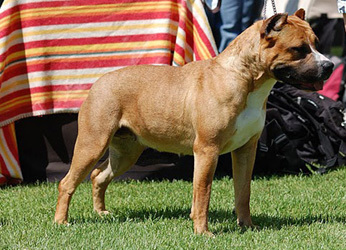 was very promising (WO), V1, and the title of Best Baby in Breed (NBwR). 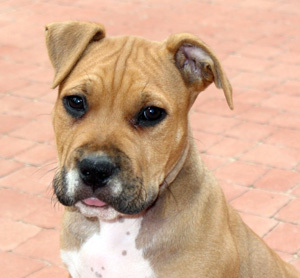 Heartfelt congratulations to the owner for a very nice presentation of the puppy! which received an excellent, place 2nd. 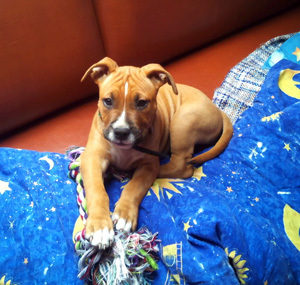 We thank the owners of puppies a sent picture:). 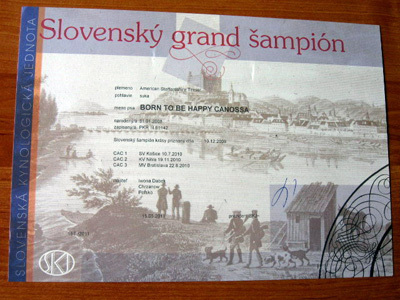 BORN TO BE HAPPY Canossa official Grand Champion of Slovakia! Dzidzia received Dypolm Slovensky Grand Sampion based on requests received in 2010. 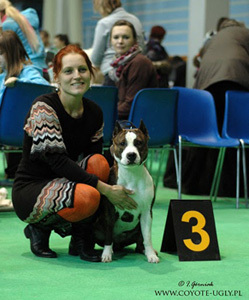 2 International dog show in Bratislava. 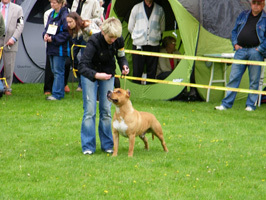 open class was excellent, a place in the competition two females. The Veterans class for the first time we showed up Atillo INA. 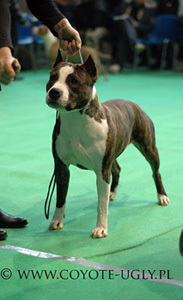 Ina got excellent 1, and the title of Best Veteran of Breed. 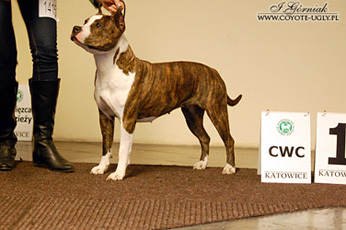 "current" litter the letter "S"
FREEDOM FIGHTER of Iwana , Which was excellent, place 1 CWC. 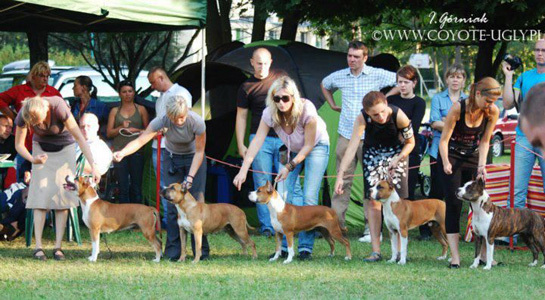 National Dog Show in Czestochowa. 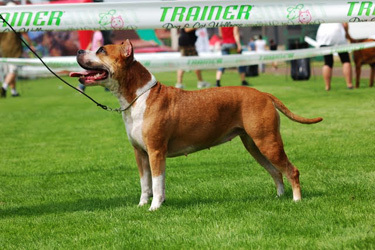 Congratulations to the owner for the excellent presentation of female! BEAUTIFUL GIRL Canossa and FREEDOM FIGHTER od Iwana. female. 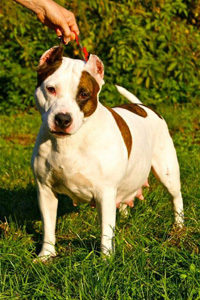 More information coming soon section: Litters Current. Two International Exhibitions in Lithuania in Vilnius. Judge: Mr Veli-Pekka Kumpumäki of Finland. 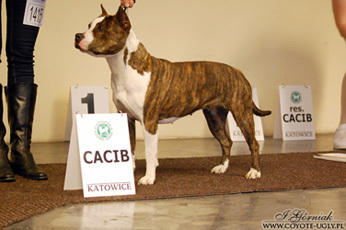 CACIB and Winner of Vilnius 2011! 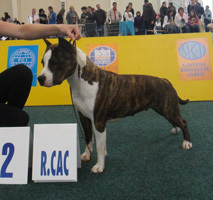 excellent, 1st place, CWC, CACIB. 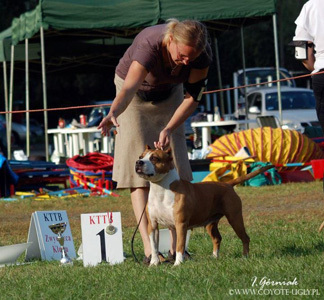 Begun Polish Champion titles and International Champion. 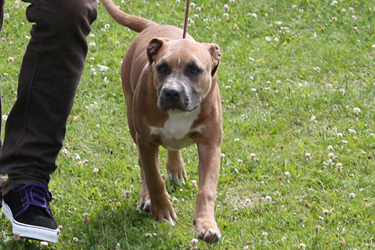 Available we have two beautiful, healthy puppies after parents: IntCh. ?Antares Ordior x INA Atillo. 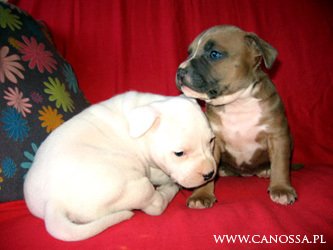 and his sister, white with a dot: DALLAS TINY DOT Canossa. 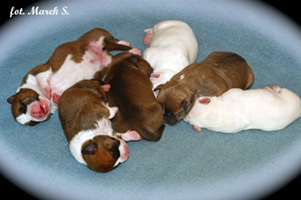 More photos in the "current litters". 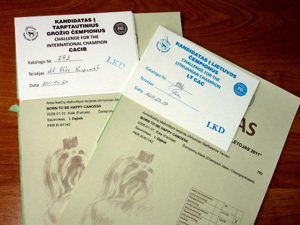 IV International Dog Show in Rzeszow. 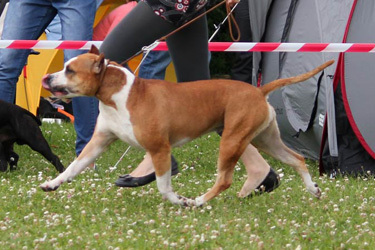 got an excellent and place III in the competition 7 females! 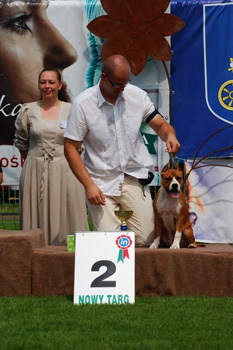 International Dog Show EAST Kosice, Slovakia. CASSIOPEIA FOR PROZAK Canossa, got excellent, place IV. 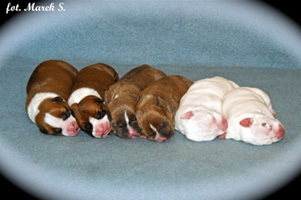 All healthy, strong, "colorful – twins"
and two puppies red with white markings: male and female. 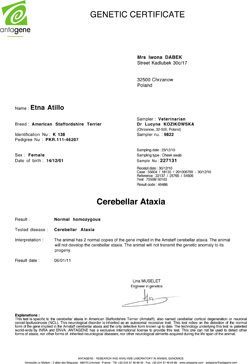 More information in 'Current Litters "
our female ETNA Atillo with outcome ATAXIA – Clear! 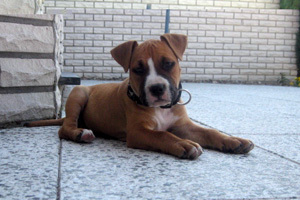 Locomotive) is also will be free from this disease!